What’s on your mind when you hear the words Teenage Mutant Ninja Turtle? A funny yet heroic gang? 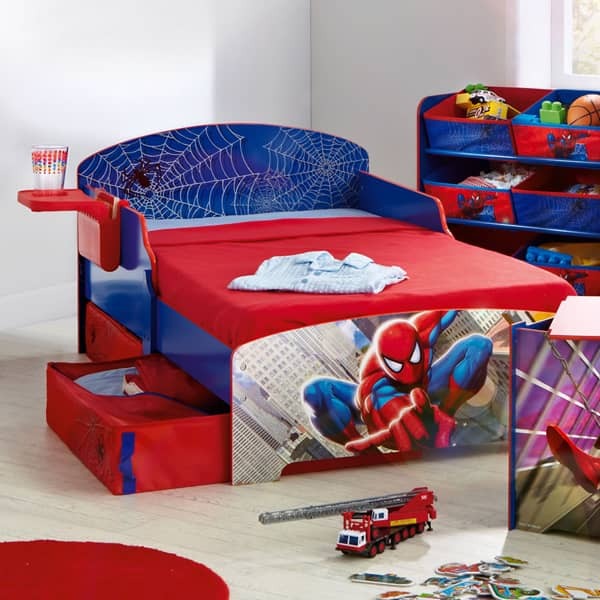 A cute adorable American hero which is worth to be part of your little boy bedroom sets? Both of them are fine, they truly represent how the Teenage Mutant Ninja Turtle is so lovable. 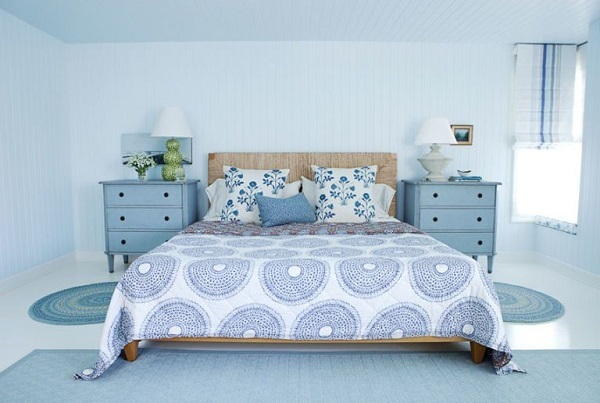 When it comes to the bedroom decor, adding the furniture and accessories with such theme will never go wrong. It will create a fun festive atmosphere perfectly. 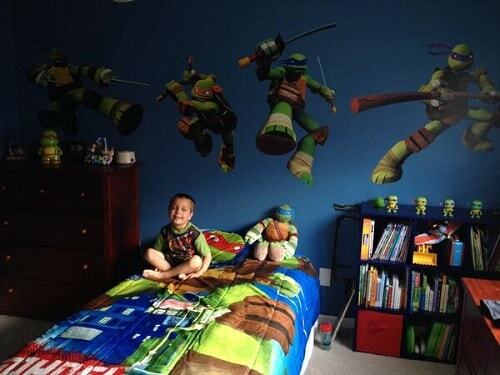 There are, for sure, thousands of worth-to-buy little boy bedroom sets with Ninja Turtle theme that you can find today. They are so adorable to decorate his bedroom and he will be happily excited to have them. 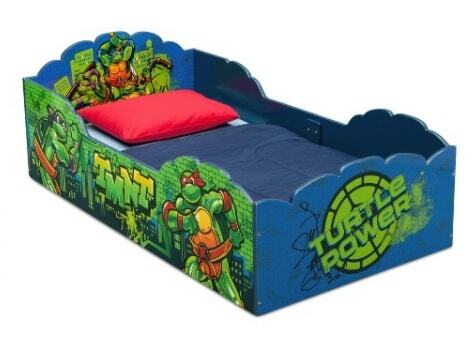 Here, we have some various recommended Ninja Turtle bedroom furniture starting from wall decor, chairs, to the bedding. Some are offered in fabricated design that you can find in some marketplaces, and others are easily made by yourself at home. Green is obviously the main color of the Ninja Turtle theme that is always adorable to colorize your little boy’s bedroom. 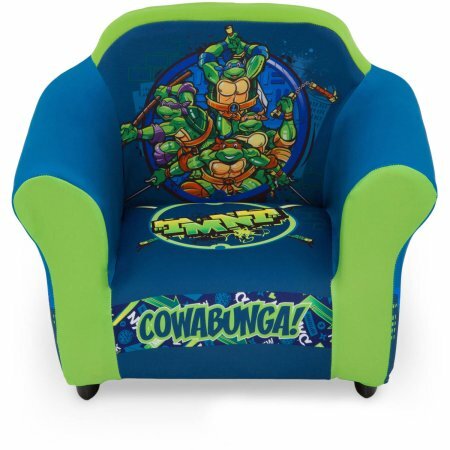 This cute green chair is available on Etsy which can be part of your Ninja Turtle bedroom decor. The design is classically simple with the glossy light green finish which looks so dazzling. 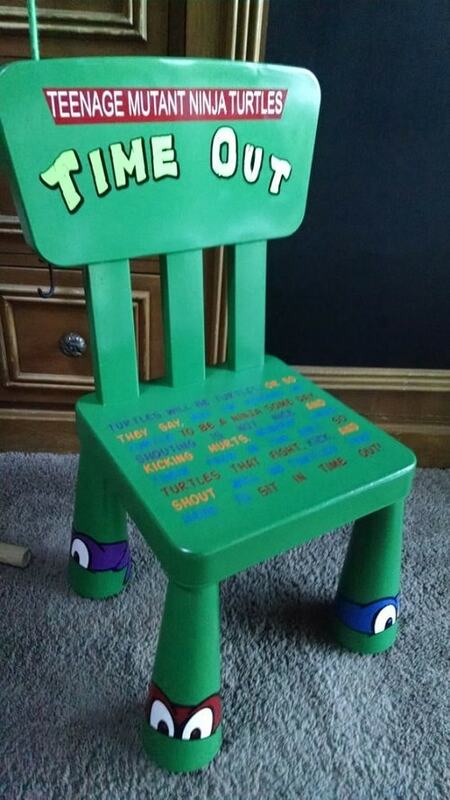 You can see the Ninja Turtle’s quotes are written on the seat space in various colors, makes it cutely decorative. Then, the chair doesn’t forget to include the character’s accent. On its 4 legs, the eyes of all the Ninja Turtle’s members are painted with their iconic masks. Another recommended Ninja Turtle thing to complete your little boy bedroom sets which is sold at Etsy. 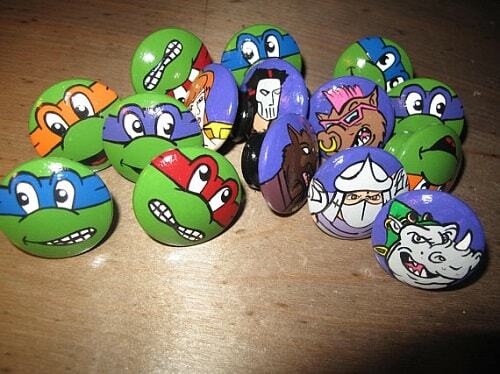 The 80’s Teenage Mutant Ninja Turtle Hand Painted Dresser Knobs which looks cutely adorable. As the name implies, the knobs are hand-painted so it has quite a lovely vintage style. The knobs’ size is 1.5 inches and finished 3 times with varnish that makes it look shiny. Spend $6 to buy each knob for the first 6 purchases and $5 for each after. The catchy wall decor to enhance the style of your little boy bedroom sets. It consists of 4 rectangular painting of Ninja turtle’s villainA�which are linked by the chains. You can see the face of Shredder, Bebop, Krang, and Rocksteady are hand-painted on a canvas which looks colorfully adorable. 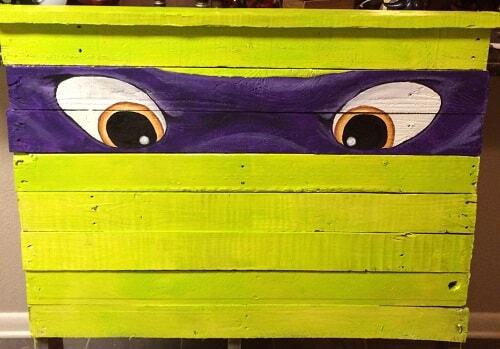 This wall decor will represent the evil side of the Teenage Mutant Ninja Turtle characters in your boy’s bedroom. 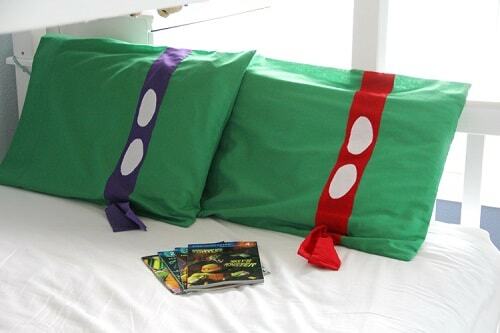 Again, available on Etsy, you can bring this worth-to-buy Ninja Turtle bedroom’s accessories by spending $175. Adding this product to your llittle boy bedroom sets will provide more space for him to play and relax. It’s 2-in-1 sofa with the folding mattress. The design is quite simple yet so catchy with its vibrant green in brick pattern printing. 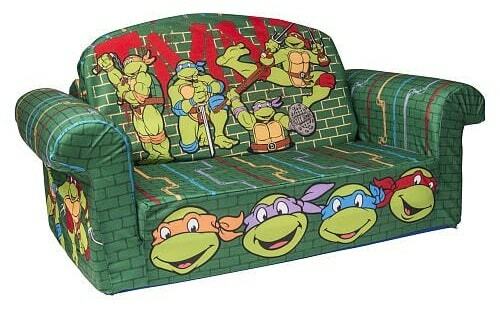 Almost every side of the sofa is decorated with all the members of TMNT gang; Leonardo, Michaelangelo, Donatello, and Raphael. The cover is made of polyester fabric which is filled with the lightweight polyurethane foam. It feels so comfortable and joyful to use by your kids. The cover is removable and machine washable, so you can take care of the sofa easily. Don’t worry, its vibrant look will not fade for years due to its great durability. With 28.5″ width x 16″ length and extends to 39″ long when you unfold the sofa, your toddler can enjoy it comfortably. 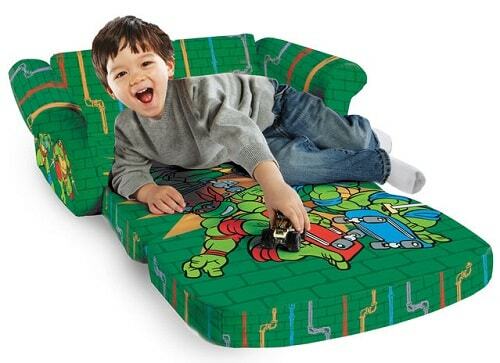 Get thisA�Teenage Mutant Ninja Turtles 2-in-1 Open Foam Sofa by spending only $29.99 on Toys R Us. 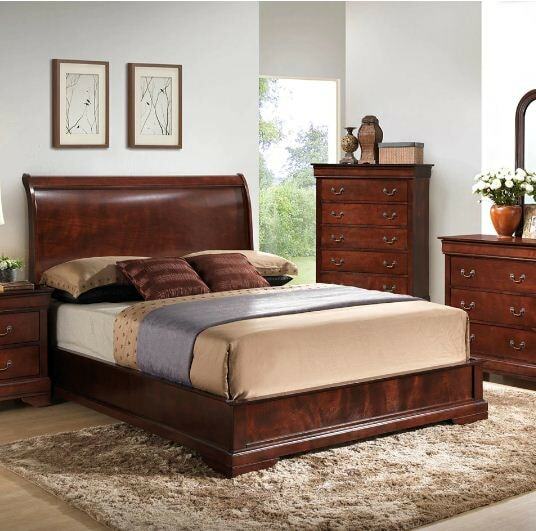 It’s a very cheap price for a good quality little boyA�bedroom furniture. One thing that cannot be separated from the little boy bedroom sets is the storage organizer. It will keep the toys neatly organized so your sona��s room will look and feel cozy all the time. 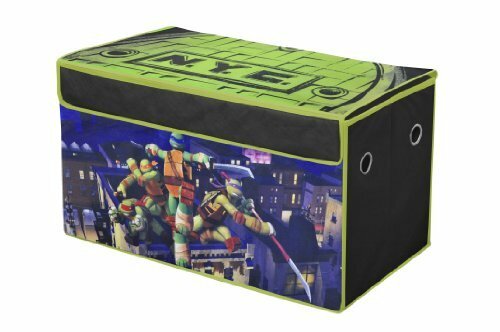 This Multi-Bin Organizer with Ninja Turtle print by Delta Children is surely a recommended one to buy. The organizer consists of 6 bins which are spacious enough to handle lots of your sona��s toys. The construction is made of engineered and solid wood with the fabric which is quite satisfying with its average quality. Its height and width of this furniture are ideal for kids from 3 to 6 years old. The image print is very bold, rating a cheerful and fun nuance to your little boy bedroom sets perfectly. This kida��s toy organize has is sturdy enough and has passed the CPSC safety standards, you can have a piece of mind furniture to use for years. 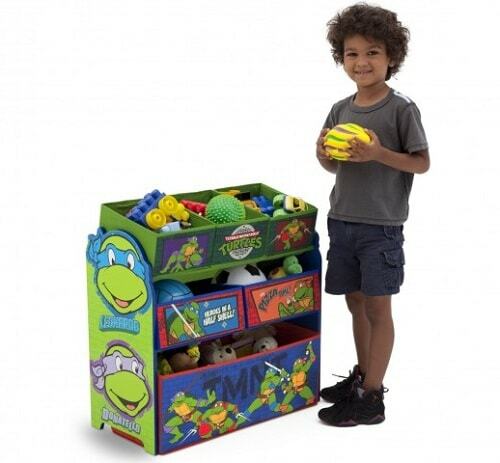 On Amazon, the Multi-Bin Organizer with Ninja Turtle print by Delta Children is offered at $25.48. This one is the Ninja Turtle bedroom furniture that you can make easily and cheaply at home. 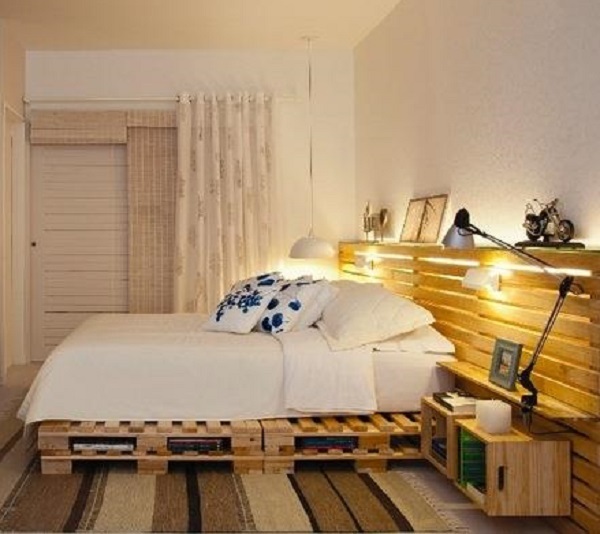 Ita��s made of the used shipping wood pallet that is very easy and cheap to get. You just need to disassemble the pallet, give the green finish on, and draw the mask one of your sona��s favorite Ninja Turtle character. Ita��s such a nice option to create a catchy look for your little boy bedroom furniture. It seems like that the easiest way to give a Ninja Turtle look of the DIY little boy bedroom furniture is by just creating their mask. Just like this one, the cute and useful Ninja Turtle storage basket which is made of the green plastic basket and the flannel. Ita��s so easy to make at home, you just have to make the masks of all of the Ninja Turtle characters,A�then tie them on the green bucket. It will become a fun portable storage basket that you can place in your sona��s bedroom. This one is a recommended portable storage that you can purchase on Amazon. Ita��s a playful collapsible storage trunk made of the canvas which is totally worth to add to your little boy bedroom furniture. The canvas is very soft and sturdy, so ita��s so durable and convenient to use. Also, you can store lots of your toys due to its spacious space. As a collapsible storage trunk, you can always fold it easily to save the space of your sona��s bedroom. 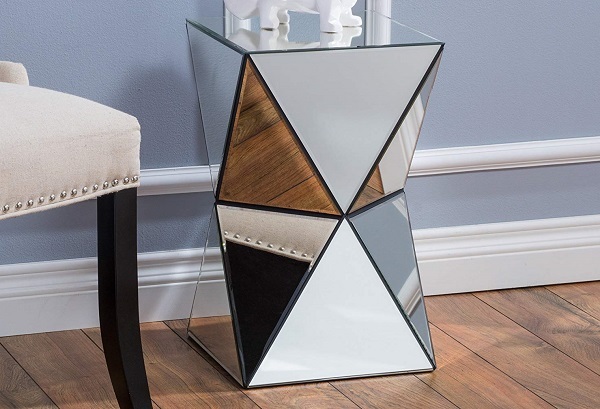 The price tag of this product is $16.98, such a cheap cost that you have to pay to add another storage option in your sona��s room. 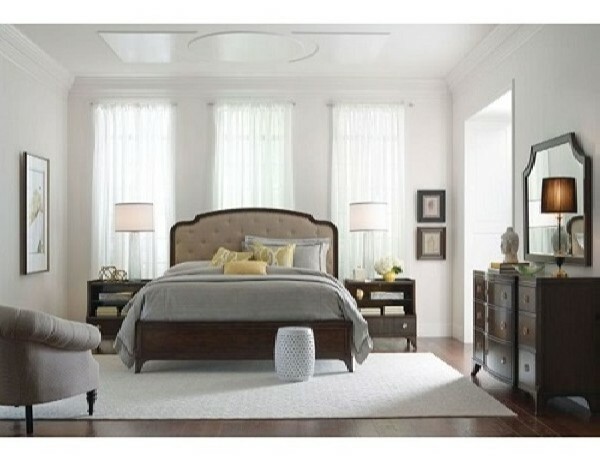 A saucer chair is like a must-have furniture to create the latest catchy look of every bedroom. This one is a great product that you have to purchase when you have a plan to create a Ninja Turtle decor for your sona��s bedroom. Available at Walmart, this mini saucer chair with Ninja Turtle upholstery looks so adorable to be an accent chair for any rooms. Ita��s made of the cozy 100% polyester fabric with the sturdy metal frame to ensure that you have a high-quality little boy bedroom furniture. The look of the chair is so attractive with all of the Ninja Turtles picture on the deep purple background. Every saucer chair is always convenient to move everywhere you want and can be folded easily when you dona��t need to use it. 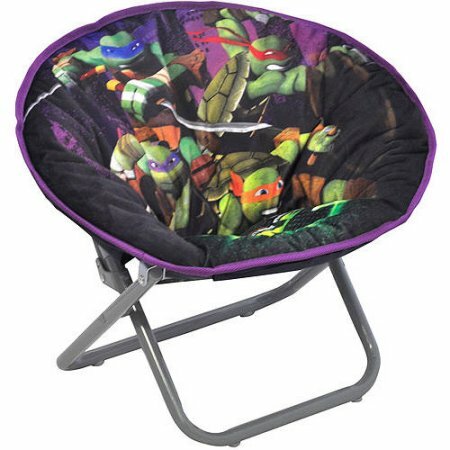 Bring this Ninja Turtle Mini Saucer Chair by Nickelodeon by only spending $16.92. 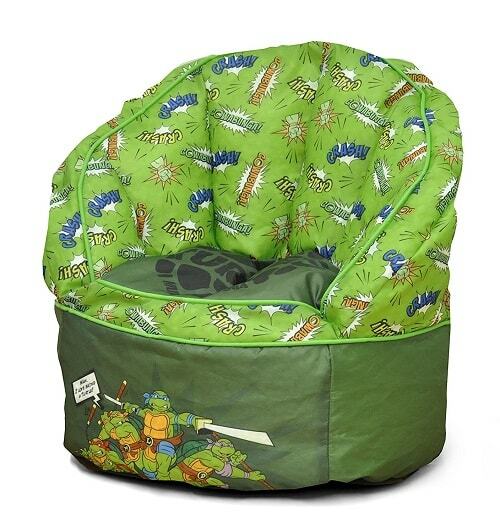 The admirable Ninja Turtle chair which should be included in your little boy bedroom sets shopping list. The chair looks and feels so inviting with its bold color and fluffy upholstery. The combination of navy and neon green of this chair are so attractive, creating a nice contrasting look that will brighten up your sona��s bedroom. Then, the Ninja Turtle printing on the back and its two sides with the famous Ninja Turtlea��s saying are so enough to make the chair nicely decorative. Though the frame is made of plastic, ita��s really sturdy to enjoy and can hold up to 100 lbs weight. The comfort is then enhanced by the plush foam and soft slipcover. You can purchase this chair at Walmart with the $39.99, an affordable price to get a good quality little boy bedroom furniture. Bean chair is the practical furniture that shouldn’t be missed when you have a plan to improve the coziness of any bedrooms. With lots of sizes and designs of the bean chairs which are available in the market, you can always choose the one to add to your little boy bedroom sets. This Teenage Mutant Nina Turtles Toddler Bean Bag is definitely adorable. It looks so catchy with its design and pattern. Its light and deep green cover in matte style looks so soft and inviting which makes the chair so irresistible to enjoy. The light green back is fully printed with the famous words of TMNT while the deep green frontside is decorated with the picture of Leonardo, Michelangelo, Raphael, and Donatello. The chair is made of 100% nylon with the soft bean filling which is so cozy to sit on, especially with its sturdy construction. Your son can sit very comfortably on the chair without sinking. It fits perfectly for kids from 2 to 6 years old and very easy to move. Buy this chair on Amazon by spending about $38, a good price for a toddler’s ben bag. If you want to make a superbly playful bedroom for your son, this Shell Raiser vehicle is a must-have additional that you can buy. 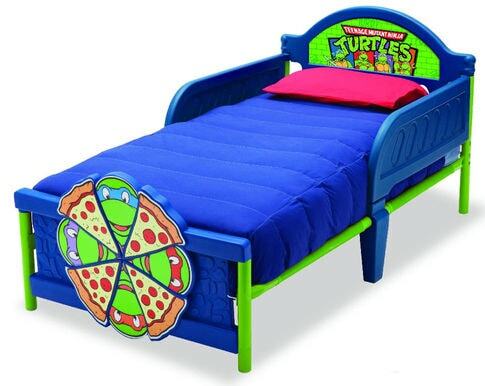 Of course, it comes with the catchy Ninja Turtle print that every kid will love. The combination of brown, green, and black of this product make it look more masculine, so it will create a fun adventurous touch t your kida��s bedroom. The printing looks so attractive and adorable which makes the play times way more fun. The special thing about this Shell Raise Vehicle is its EZ Twist feature which enables you to set up and fold down it in no time. Therefore, you can always use and store this product anytime and anywhere conveniently. With the multiple openings, your son and his friends can enjoy this Shell Raise Vehicle maximally for hours. The construction is sturdy enough, ensuring you the great durability and safety for years. To get this Amazona��s Choice for Boys Play Tent, you have to spend $34.26. A great deal for a super fun Shell Raise Vehicle. Having an additional sleeping spot for your little boy bedroom sets is always a good idea. 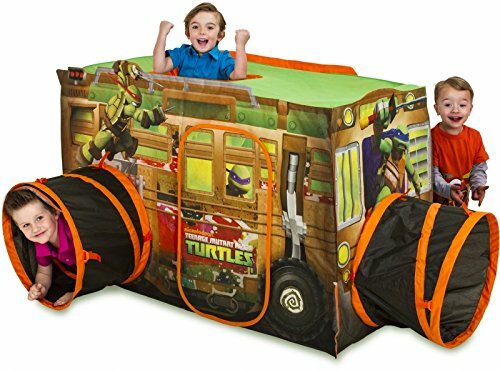 This toddler tent bed by Delta Children with the Ninja Turtle look is a recommended product that you can buy. The ten is fully-printed with the famous saying of the movie, while the blue headboard and footboard are decorated with the green TMNT decal. It makes the bed look festively decorative to add a cheerful atmosphere to your sona��s bedroom decor. The tent comes with two mesh windows and two roll-up doors which provide great enjoyment for your boy. Then, the guardrails are also attached to protect him while hea��s sleeping. The construction of this product is also not disappointing with the sturdy steel and plastic material. Surely, you can have a durable and reliable tent bed that will last for years. It can hold up to 50 pounds weight and recommended for kids with more than 15 months old age. The product has passed all the JPMA certificates, so ita��s totally safe to use daily for your kids. 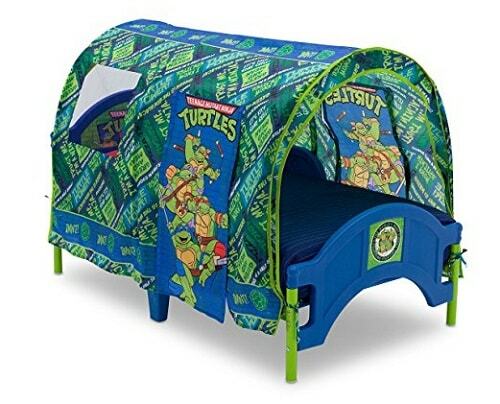 To get the Toddler Tent Bed Nickelodeon Teenage Mutant Ninja Turtles by Delta Children, you have to spend $69.99 for bed only and $107.99 with the adorable matching blue mattress. A must-have bedding that should be included on your top list when you have a plan to create a Ninja Turtle Bedroom is surely this one. The high quality and of course attractive bed from Delta Children which is offered at a very affordable price tag. The bed comes in a vibrant combination of bright blue and green, it will give a fun atmosphere to your sona��s bedroom decor. You can find the TMNT accent on its headboard an footboard, while the footboard has the 3D look. The plastic and steel frame of this bed feels so sturdy which provides comfort and safety for your kid. Then, it also has the two guardrails to enhance the protection for him while he uses the bed. For easy access, the bed is designed in a low style, so your kids can reach it conveniently and safely. It can hold up to 50 pounds weight and recommended for kids up to 5 years old. Available at Toys R Us, you can purchase the Teenage Mutant Turtles 3D Toddler Bed by Delta Children by spending $79.99. This is an admirable accessory for your little boy bedroom sets that you can make by yourself easily at home. The materials that you will need to create this pillowcase are green, blue, purple, red, and orange cotton fabric. It looks so adorable with the TMNTa��s mask inspired look. You can create it affordably and quickly, but the result is totally surprising. A legless bedding from Delta Children with the Ninja Turtle look which is totally recommended to buy. The design is so catchy and cozy to be a part of your little boy bedroom sets. The bedside is fully printed with the brick background in green and blue color. All the TMNTa��s character in action pose is decorated the bedsides adorably. The shape of the frame is so attractive, matches well with its overall look. 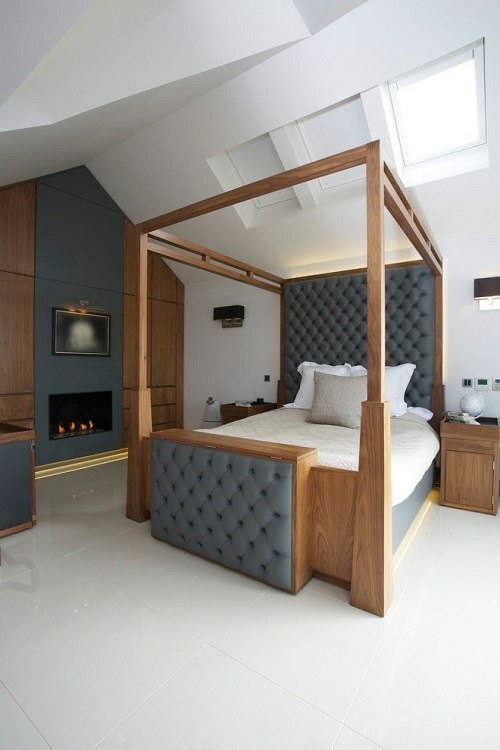 The wood construction of this bed is so durable, and each of its sides is designed in proper height to comfort and protect your son when hea��s sleeping. You can purchase this Teenage Mutant Ninja Turtles Wood Toddler Bed by Delta Children on Target with $92.99 price tag. So those are some Teenage Mutant Ninja Turtle accessories and furniture that may inspire you to complete your plan to have a bedroom in such theme. Or, if you still have the plan, you can save it for later and consider buying one any soon. 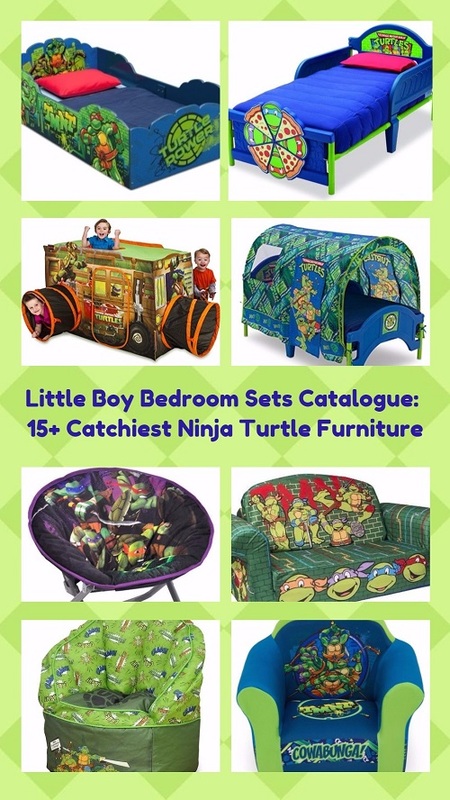 Choosing Ninja Turtle for the theme of your little boy bedroom sets is never a bad idea to bring back the unforgettable stories of the cartoon. The dazzling and vibrant color of Ninja Turtle style will also make the room feel and look more exhilarating. Buy the one that suits your needs and match well with the overall look of your little boy bedroom sets!